This page details my construction of the T5. 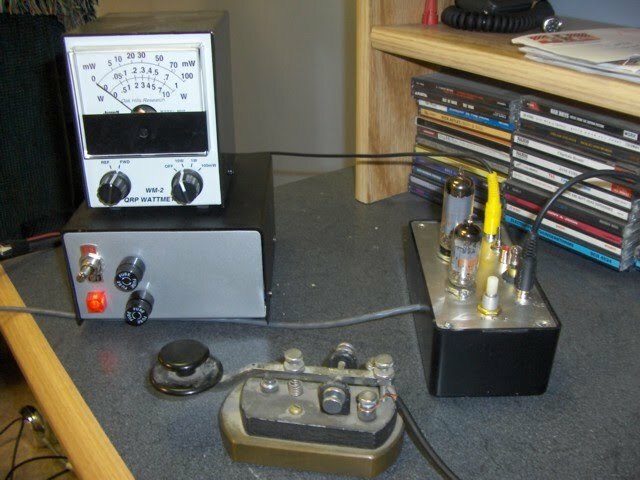 The T5 is a CW transmitter designed by Steve Johnston, WD8DAS, which uses a couple of cheap vacuum tubes: a 6C4 and a 5763. Original design/article appeared in the January 2003 issue of QST: http://www.qsl.net/wd8das/TTTTT.html Click here for the schematic. 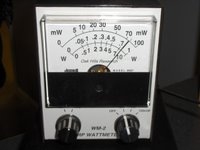 The transmitter requires both 250 vdc and 6.3vac to operate and I built a power supply specifically for this transmitter. The details of this power supply can be found here. And now some pictures. I really didn't take a lot of pictures during construction so you'll have to settle for some pictures of it mostly finished and then of it finished and hooked up to an OHR QRP Watt meter. 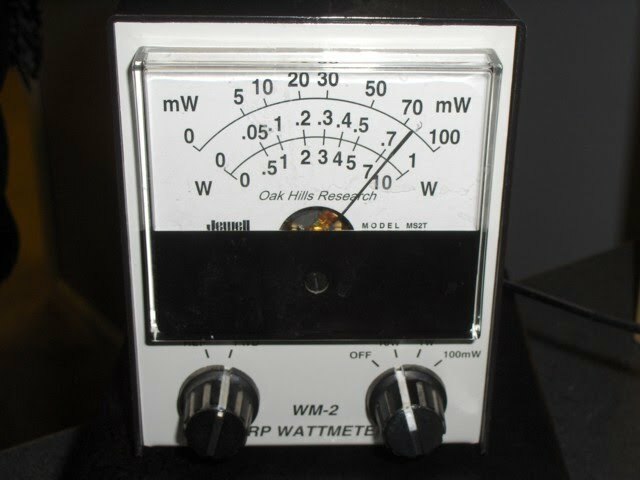 4 watts out? That's a little less than expected! 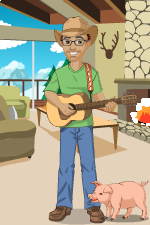 A little tweaking and then ahh... better. Close to 8 watts!! What's next? 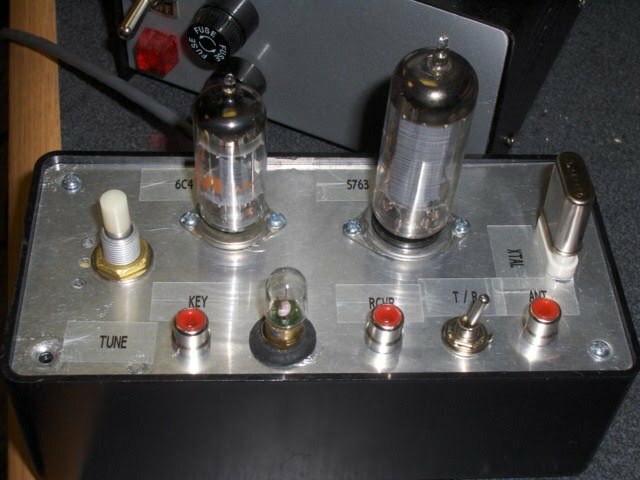 Probably a tube regen receiver!